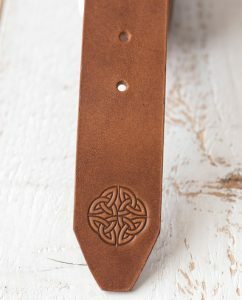 A 40mm wide belt is prepared by our craftsmen from high quality European cow hide leather which has been tanned in Italy. 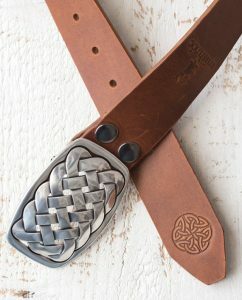 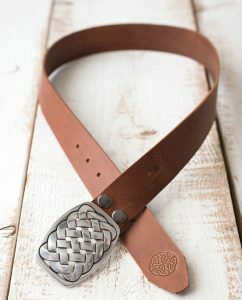 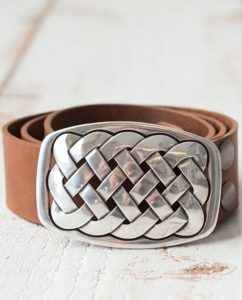 The beautiful Celtic Knot Buckle Buckle is added and the result is a beautifully crafted unique piece. 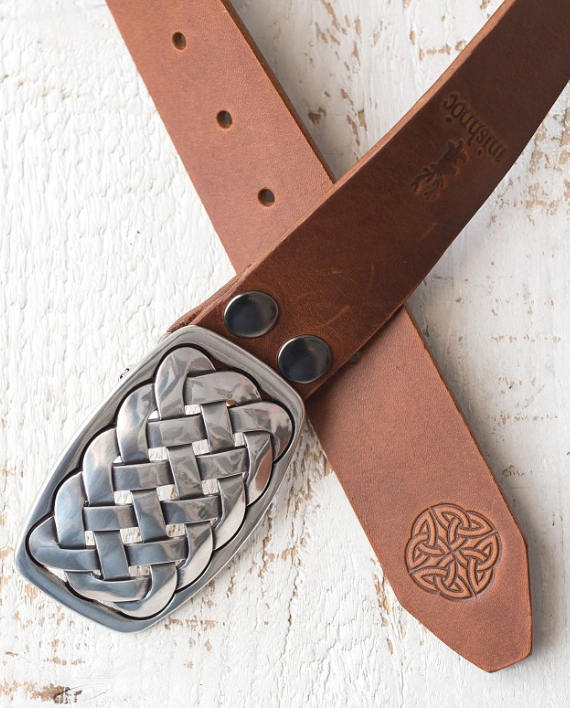 This belt is designed to fit any 40mm buckle. 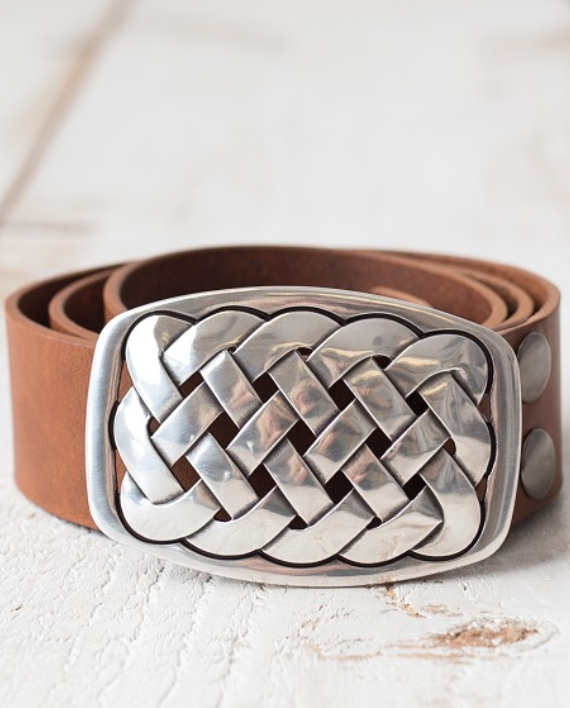 The buckle can be replaced by opening the snaps at the end of the belt.